Fri., March 24, 2017, 5:25 p.m.
SAN JOSE, Calif. – Guard Josh Perkins didn’t make one of the biggest shots in Gonzaga’s postseason history but that didn’t stop him from watching the play over and over. 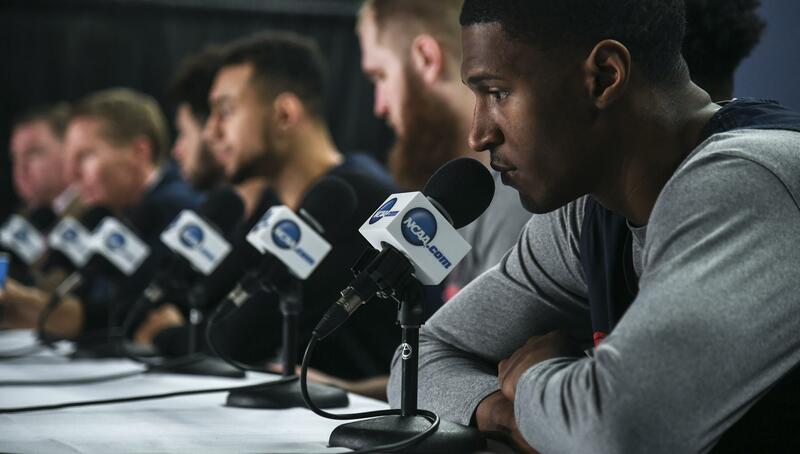 “I watched it probably four or five times myself,” Perkins said of Jordan Mathews’ clutch 3-pointer with just under a minute to play that helped the Zags edge West Virginia 61-58 on Thursday. Perkins’ phone got off light compared to Mathews’. The senior guard shut his phone down last night. He estimated he received 120 texts. Published: March 24, 2017, 5:25 p.m.